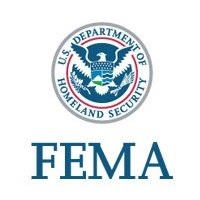 TALLAHASSEE, Fla. – (RealEstateRama) — If you were receiving U.S. Department of Housing and Urban Development rental assistance and were displaced by Hurricane Michael, you may be eligible for help from FEMA. Federal law prevents FEMA from duplicating benefits provided by another agency. When your HUD-assisted home becomes unlivable, HUD stops paying rental assistance for that residence. You may then be eligible for other forms of disaster assistance. If you live in Bay, Calhoun, Franklin, Gadsden, Gulf, Holmes, Leon, Jackson, Liberty, Taylor, Wakulla, or Washington counties, which were directly affected by Hurricane Michael, and were receiving rental assistance from HUD prior to the disaster, you should apply for disaster assistance.
? Living in HUD-assisted public housing.
? Living in a privately owned apartment that provides rental assistance from HUD.
? Living in a private home using a Section 8 Housing Choice Voucher from a housing authority.
? Temporary assistance to pay for a place for you and your family to live.
? Grants to replace essential contents—such as clothing and essential household items — and medical, dental and burial expenses.
? You relocate back to public housing.
? You relocate back to your previous private housing with rent subsidized under the Section 8 voucher program.
? You sign a new lease to a private property using a Section 8 voucher. When the survivor moves back into a HUD-assisted residence, or signs a new lease for rental housing under the Section 8 program, HUD assistance resumes. At that point, the survivor may no longer receive FEMA assistance.
? Log onto DisasterAssistance.gov with any computer, smartphone or tablet.
? If you cannot access the website, call 800-621-3362 or (TTY 800-462-7585). If you cannot pay your mortgage because of the disaster and you are at risk of losing your home, your lender may stop or delay initiation of foreclosure for 90 days. Lenders may also waive late fees for borrowers who may become delinquent on their loans as a result of the disaster. For a presidentially declared disaster, HUD’s Federal Housing Administration activates a mortgagee letter making a variety of insured loan programs available for disaster victims and putting into play use of special loan-servicing and underwriting requirements.Visit Disaster Relief Options for FHA Homeowners. Housing and Urban Development-approved counselors can help survivors assess their housing, financial and other issues caused by the disaster and connect them with local resources for additional assistance. For help, go to www.hud.gov/findacounselor. For more information about HUD resources available after disasters: https://www.hud.gov/info/disasterresources.